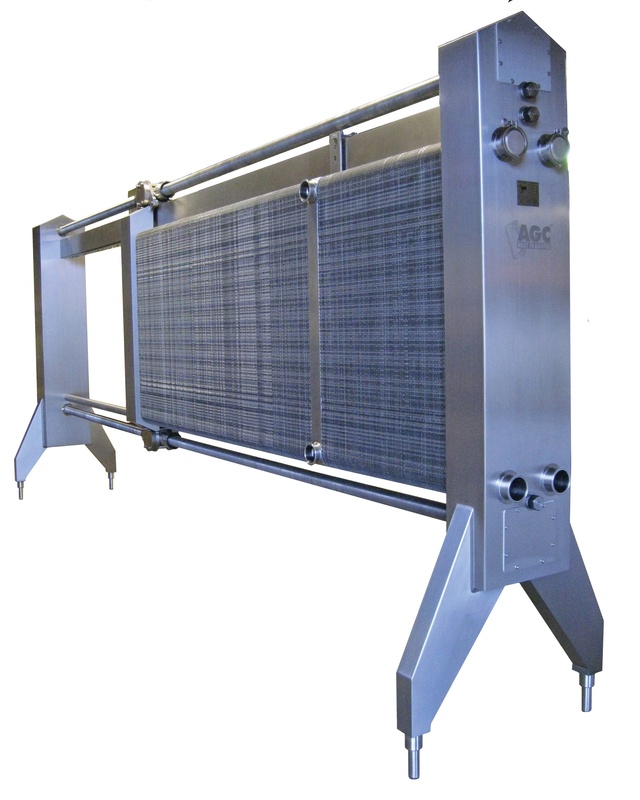 The heat exchanger in many processing operations is the relief point of a processing system. 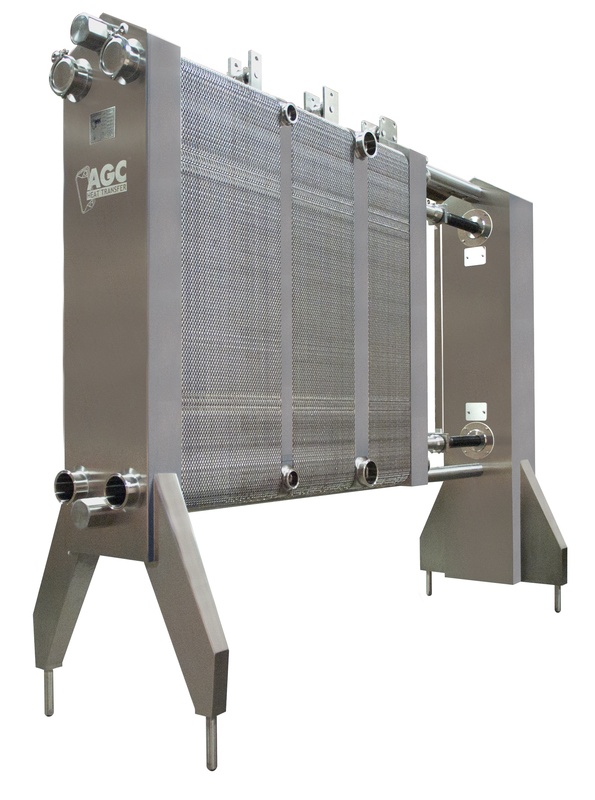 When unexpected plant changes occur during the processing day, repair to the heat exchanger becomes a requirement. Replacement of gaskets or plates takes minutes versus hours with a hydraulic opening / closing frame. Your operation can be back up and running quickly to optimize your production run time, saving you thousands of dollars each year. In addition to performance, every production operation is concerned and focused on safety. Compared to tie-bar and manual twin spindle frames, hydraulic closure frames take no manual labor, making opening and closing simple. One lever controls the hydraulics to automatically open / close your frame to the precise compressed dimension – every time. Ensuring even closure and providing easy access for routine maintenance and inspection of your heat exchanger will extend the life of your investment. Below, you can begin to explore AGC’s line of hydraulic frames or if you need help deciding the right model for you, contact us. Save time and money: Easy Open-Close Hydraulic Frame with internal motor, pump, and Reservoir. A compact, floor saving design with common parts that’s easy to maintain.